First let's Peek Concept Windows 8! Become the dominant operating system has become its own demands on the part of Microsoft. After some time ago managed to release Windows 7, now it seems we'll gasp with new concepts that will be bundled with Windows 8 will be. Even now been leaked some pictures of Win7China, to review the initial concepts of the operating system Windows 7's successor. Microsoft's own party now has just entered the third stage of research. Of existing images can be seen that the major changes to the Taskbar, driver installation and cloud computing integration. Overall did the initial concept of Windows 8 is still adopting the concept of its predecessor. Some differences can be seen between Windows 7 and Windows 8 is one of them on the emergence notification when installing the driver. In Windows 7, the user only receives notification that the drivers are installed automatically. While later on Windows 8, the user will know about how far the process of being executed until the process is complete, you will be able to find out easily. 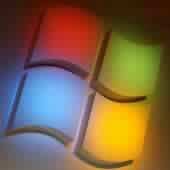 Next generation of Windows 7 is reportedly also will be more diakrabkan with Windows Live. Where users of Windows 8 will easily connect with their account on Windows 8. Apart from the concept drawings, we can see there are changes that added a new element in the Taskbar, there is also a visual representation of the operating system choices. It is estimated that eventually Microsoft will begin entering the Beta stage at the end of 2011. Well, we wait yes its development.